We begin each day with the raising of our American flag and reciting the Pledge of Allegiance. 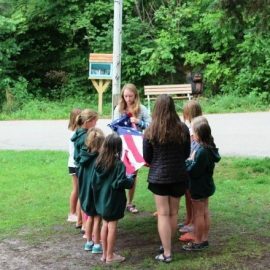 Cabins take turns raising and lowering the flag. Camp Capers – Brother and sister cabins work to spruce up a part of camp before the day begins. 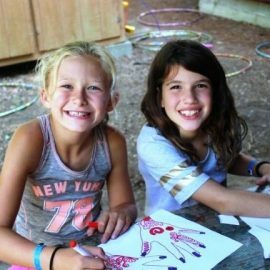 Cabin Cleanup – Children work together as a unit to clean their cabin area inside and out. 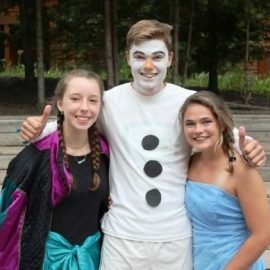 These activities are judged by our Camp Daggett Program Aides and awards are given each day at lunch to the best performing cabins! 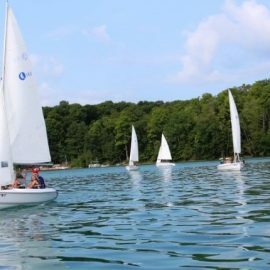 Younger cabins take part in water classes in the morning, such as sailing, swimming and canoeing. 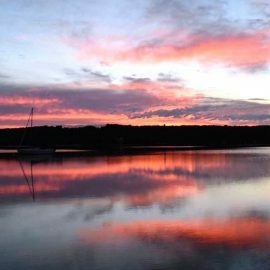 The older cabins are on land doing arts & crafts, nature, recreation and adventure activities. Lunch is always a big hit at Camp Daggett, both for the food and the singing and entertainment that take place in Mac Hall! After lunch the campers have an hour rest period spent in their cabins. This is a good time to read, talk quietly or write letters to home. In the afternoon the campers trade places and the younger cabins take part in land classes while the older cabins are on the water. 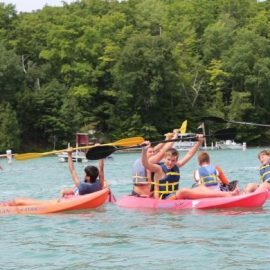 Campers can return to their favorite water activity to practice what they learned that day. 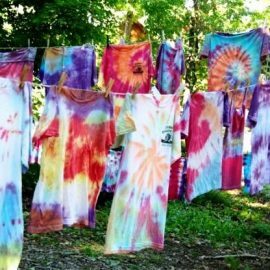 Arts & crafts, nature and recreation directors plan activities for any interested camper. Dinner time is when certain cabins will venture out on their overnight campouts. We have various sites that cabins will visit, such as “Sunset Ridge”, “the beaver hole”, “the meadow” and others. The oldest cabins have the option to canoe to some sites that are accessible only by water! 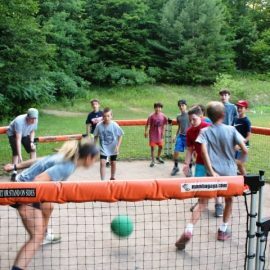 This is an opportunity for campers to gather in the central camp area for informal games of volleyball, lightening, tetherball, or just visiting with fellow campers from other cabin groups. A time to lower the flag and contemplate how fortunate we are to live in a country that provides us with such wonderful opportunities. 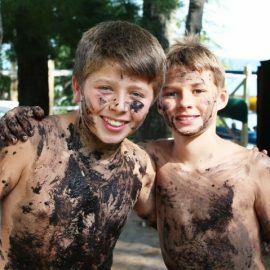 Camp-wide team games or special events such as county fair, water carnival, mock rock, camp Olympics, etc. 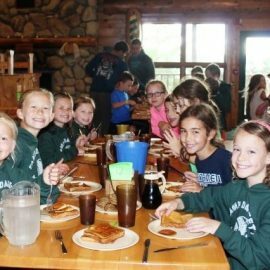 Camp Daggett is well known for our creative and exciting night activities! Campfires and singing are big at Camp Daggett, and often the entire camp will gather at the fire circle to sing a few favorite songs before ending the day. Our Friendship Circle is how we officially end the day and wind down in preparation for bed. Announcements are made at this time for any special activities that may be taking place the following morning before breakfast, and then Taps is sung as a hand squeeze is passed through the camp.